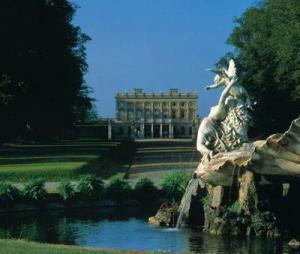 Choose from 1326 hotels and guest houses in England. Shown below a just a selection of the hotels available. To search within an area please use the menu on the right. The closest hotel to the world-famous Aintree Racecourse, the Park Hotel is only 6 miles (10 km) from the city centre and has great access to the area's major road network. All of the Park Hotel's 62 en suite rooms have now undergone a total refurbishment as part of the first stage of a total renovation. Each room has Sky satellite TV and broadband internet access (at an additional cost). The hotel is less than a mile (1.6 km) from Aintree Racecourse, home of the famous Grand National. The convenient location means that the hotel offers easy access to the region's main roads and motorways, with Switch Island road junction just 800 metres away. The very heart of Liverpool's city centre is just 6 miles (10 km) away. Free private parking is available on site. The National Lounge Bar offers an extensive range of wines and foods, available all day. Occupying a privilege position in Westcliff, Bournemouth, this contemporary-style hotel is just a short stroll away from the beautiful coastline, pier, town centre and Bournemouth International Centre (BIC). 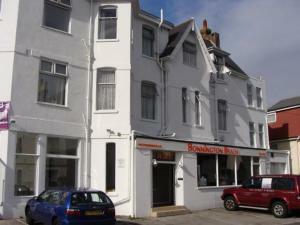 Bonnington Beach offers a range of facilities to ensure that you have a relaxing and memorable stay in Bournemouth. In addition to the clean and comfortable en suite rooms, the hotel offers on-site car parking, Wi-Fi internet access and use of the spa and leisure facilities at the luxury Highcliff Marriott Hotel, all free of charge. After exploring Bournemouth's wonderful town centre, complete with bars, restaurants, clubs, shops and theatres, you can unwind with a drink in the hotel's late night bar and modern lounge areas. On the edge of the Cotswolds, set in 140 acres of secluded parkland, this 4-star hotel boasts superb facilities, including its own 18-hole championship golf course and a spa. 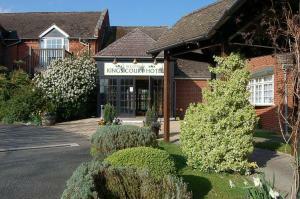 The Hilton Puckrup Hall Hotel & Golf Club has a great location, ideal for those travelling from both north and south. Just off junction 8 of the M5 motorway, the hotel is a great base from which to explore the attractions of Gloucestershire and Worcestershire. Birmingham is 40 miles (65 km) away, as is Bristol. London is just under 2 hours' away. The impressive leisure facilities on offer include a spa, the LivingWell Health Club and the immaculately kept 18-hole golf course. There is a state-of-the-art gym, an indoor heated swimming pool, a jacuzzi, a sauna and a steam room. With great facilities, 4-star accommodation and a great location, the hotel makes a great base, whatever your reason for visiting the area. In attractive gardens, in an area of outstanding natural beauty, just 2 miles from the pretty fishing port of Padstow, this beautifully converted former rectory dates back to the 17th century. Molesworth Manor is a licensed 4-star guest house offering comfortable bed-and-breakfast accommodation in a warm, friendly and relaxing atmosphere. There are 9 rooms, 8 of which are en suite. 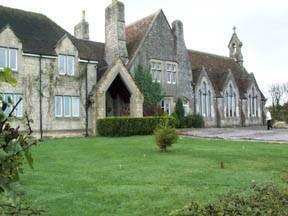 All rooms are centrally heated and have splendid views of open countryside. Guests can relax in the drawing room, the library or the morning room, all of which have open fires in the colder weather. The morning room has a flat-screen TV. There is free parking, free Wi-Fi and a computer for the exclusive use of guests. Breakfasts are freshly prepared, using local produce and include a different cooked special every day. On the banks of the Camel Estuary, nearby Padstow has a wide selection of pubs and restaurants (including Rick Stein's world-famous Seafood restaurant). This historic coaching inn dates back to before the Civil War, and has a traditional bar, a restaurant and en suite rooms overlooking the village green. 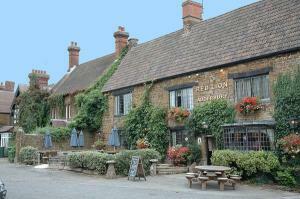 The Red Lion Hotel is south of Banbury and close to the M40 motorway. It features old oak, stone chimney pieces, intriguing low beams, narrow doors and hallways. 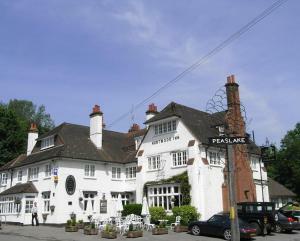 The restaurant was once a bake house and brewery, and now serves fine English and continental cuisine. Traditional ales and fine wines are served from the cool cellars and stone vaults. 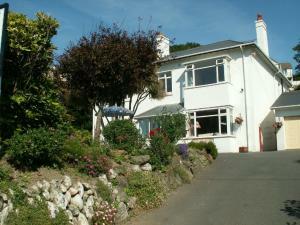 Westaway Guesthouse offers 5 Star Silver Award luxury B&B accommodation,with a large car park, in the heart of Ilfracombe. Harbour, beach, restaurants, theatre & nightlife are all a short walk away. Large en-suite rooms are furnished with virtually every luxury you could want in a hotel. Each room has comfortable seating, digital TV with dozens of channels, mini bar, safe, high speed wireless internet, as well as all the usual hospitality items. We are pleased to serve drinks in our lounge bar at any reasonable time. 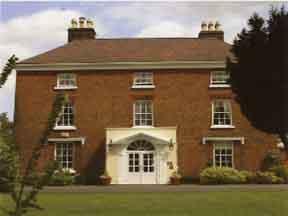 Nailcote Hall is one of England's beautiful country homes, set in 15 acres of Warwickshire countryside. We are within easy reach of Birmingham Airport, Birmingham NEC, Birmingham city centre and Warwick. All of our bedrooms are furnished to a consistently high standard and reflect the different styles and aspects of the hotel. 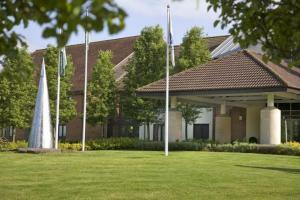 The hotel boasts a superb aa 2 Rosette restaurant and fantastic leisure facilities. 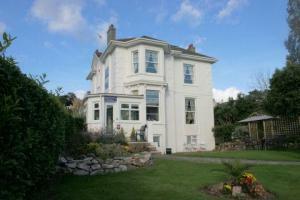 Many have attractive views of the gardens and the delightful mature trees on the estate. These are reflected in the individually decorated rooms of the 17th Century house, 'Magnolia', 'Mulberry', 'Holly', and 'Cherry'. Outdoors there's the challenge of our Championship 9 hole Par 3 Golf Course. Alternatively, relax in the jacuzzi or steam room, work out in our well equipped gymnasium or enjoy a swim in our 14 metre Roman bath style pool. In a quiet tree-lined avenue just 3 minutes' walk from Cromer seafront and pier, with free private parking and Wi-Fi, the 19th-century Virginia Court was once owned by the British monarchy. Virginia Court was built at the end of the 19th century as a gentleman's club for King Edward VII, who entertained his guests here while visiting Cromer for his love of golf and sea air. Whilst still showing the grand public spaces from those days, Virginia Court is today a 3-star hotel (AA) with an in-house restaurant and bar. Relax with friends just as King Edward VII once did. The restaurant prefers to use fresh seasonal produce, locally sourced from the area. All food is cooked to order and includes the famous and freshly caught Cromer Crab (when available). Virginia Court is an ideal base for exploring the North Norfolk coast, an area of outstanding natural beauty with many stately homes and other attractions. Set within it own private garden, just minutes away from the historic city centre of York, the hotel is situated on the A59, York to Harrogate road. 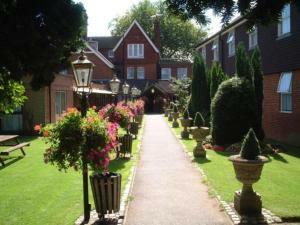 The hotel provides a warm atmosphere and many comforts, including an elegant lounge overlooking the attractive gardens. Furthermore, the hotel's restaurant, famous locally for uncomplicated menus and speciality homemade puddings, and fully-stocked cocktail bar make the hotel a friendly place in which to relax. Easily accessible by car on the A59 into York (with free guest parking), the hotel boasts excellent transport links with the main rail station just half a mile away and a local bus service stop right outside the hotel entrance. Formerly a Victorian school, this Grade II listed hotel is close to Swindon, minutes from the M4 (J16), yet set in the Wiltshire countryside on the borders of the Cotswolds. Business travellers will welcome all the usual business facilities, including free Wi-Fi in all rooms. Car hire and station and airport transfers can be arranged. Leisure travellers will enjoy the places of interest, such as Oxford, Marlborough, Cheltenham, Stonehenge, the Cotswolds, Bath and Avebury, all of which are within easy driving distance. The Great Western Designer Outlet is 4 miles away, ideal for shopping. The Ridgeway is very close, great for walkers. All visitors will appreciate the hotel's location and look forward to returning at the end of the day for a drink or light meal in the Common Room bar, with its high ceiling and big windows. Dinner is served in the Brasserie, formerly the main school room. Seafood is a speciality. Log fires will be burning in winter, and the outside terrace will be serving cool drinks and delicious food in the summer. Quality without compromise, peaceful seclusion; this is the Eastwell Manor experience. Step over the threshold and be welcomed by warming log fires and discreet service. Your stay with us begins in the magnificent panelled reception hall which leads through to the luxurious drawing room, bar and dining room all overlooking the beautifully manicured lawns set in the Garden of England. The Manor has many interesting features - carved panelled rooms, massive baronial stone fireplaces, in a quiet and tranquil atmosphere. The Manor features 23 tastefully decorated and furnished en- suite rooms and suites, offering space, elegance and sumptuous comfort with facilities that you would expect from a first class family run country house hotel. 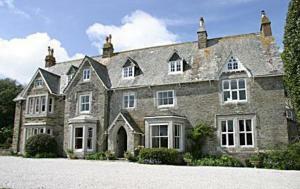 Eastwell Mews Cottages, a special accommodation alternative within the magnificent Manor setting.